Breaking with tradition on more than one level, Pantone has decided on a blend of two colours for its Colour of the Year. From a psychological perspective, the two chosen contrasting colours represent the warmth of the Rose Quartz and the cool and calm feel of the Serenity blue. The colours are reflective of mindfulness and well-being, which are perfect to portray the soft ambiance of a romantic wedding. Rose Quartz, also sometimes called the Heart Stone, with its gentle pink essence is said to represent unconditional love. It carries a soft feminine energy of compassion and peace, tenderness and healing, nourishment and comfort. All qualities that need to be brought to the fore in our world of growing turmoil. The colour Blue represents tranquillity, peace and harmony. It is also said to represent trust, honesty and a sense of security. Pantone seems to be tapping into these colours to show what is missing and what is needed in today’s world. On another level, the pink tone of Rose Quartz and the blue of the Serenity represent the growing ease with which we are relinquishing traditional attitudes towards gender fashion and colours, and moving towards gender equality. The traditional rules of pink for a girl and the blue for a boy are being transformed into a more blurred definition of colours to represent genders. Rose Quartz and Serenity would be a perfect combination for a spring wedding; think of trees bursting with cherry blossoms against a blue sky. 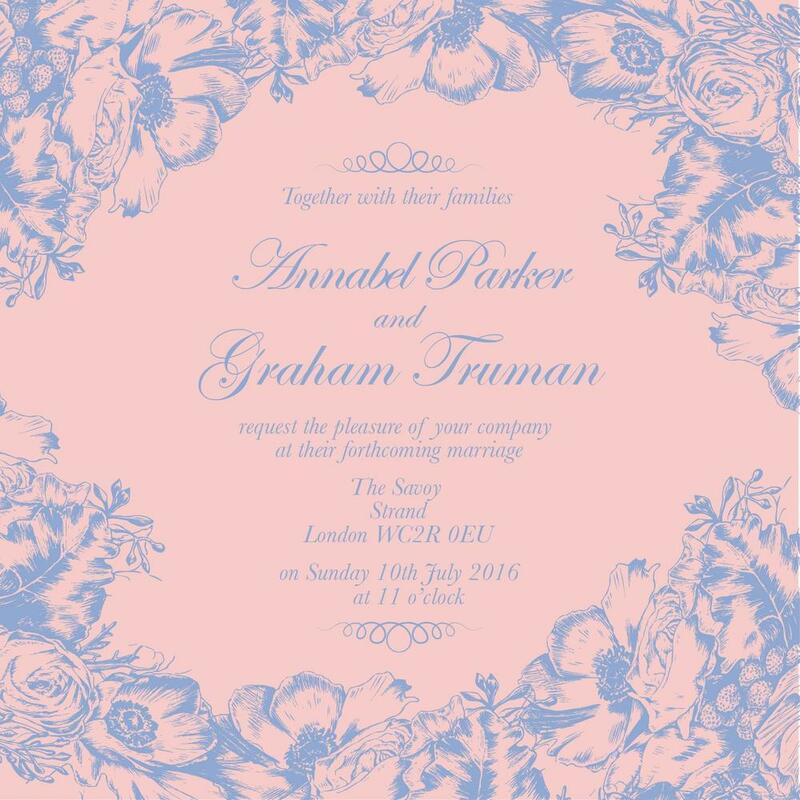 This exuberance can be beautifully conveyed through wedding stationery, giving it a romantic, fairy tale feeling throughout the whole suite of stationery, from invitations to thank you notes. From bridesmaids’ dresses to flowers, the pink and blue combination paired with white or other soft tones will look stunning. They would also be great colours for an outdoor summer wedding…think of lavender in bouquets or on the table at a wedding…calming and soothing and so summery! Pink and blue are not colours usually associated with Asian weddings, where more vibrant, bold colours are used, but you never know, that might all start to change. Pastels and soft hues have been on trend for a while, and the new Pantone colour blend will only add to their appeal. Fashion houses such as Louis Vuitton and Dior have already been enchanted by similar hues as seen in their shows. The Rose Quartz and Serenity Blue can be incorporated in a variety of ways, from interior design to clothing, to handbags and all sorts of personal accessories. At Ananya, we notice emerging styles and trends and use them to inspire our stationery. Rose Quartz and Serenity capture the mood of our culture; our aspirations and hopes, and is sure to be embraced by those wanting to tie the knot in 2016.